2. Modernize your do with a windswept look. 3. Rock a side braid. 4. Go radical with a mohawk. 5. Or a side knot. Learn how to create this do here. 7. Or rock out the mini mod. Check out how to make your hair look like this, here. 8. Give yourself a crown. 10. 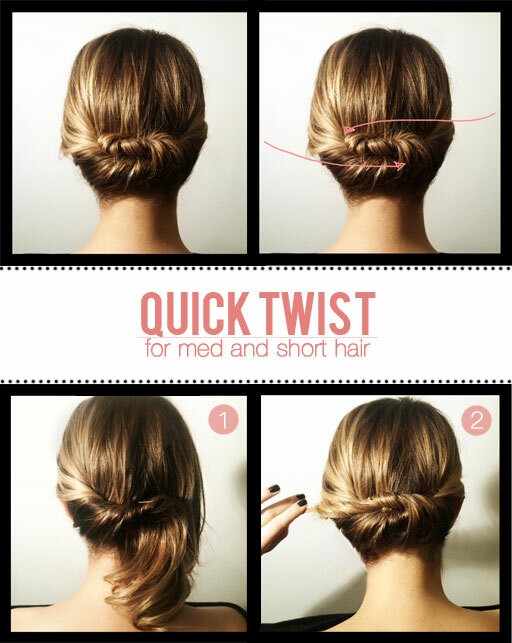 Or go for three mini twists for something more fun! Learn how to achieve this look here. 11. Go with a classic '60s updo. Check out the updo tutorial here. 13. Create curls with flex rods. 14. Double braid for some extra flare. 16. Or mess it up on purpose. 17. Be really adventurous and go for a updo with a twist AND a ponytail. 18. Create some boho beach waves. 19. Or ultra feminine with a ballerina bun. 20. And when in doubt, wrap it up tight! Learn how to wrap your hair here.